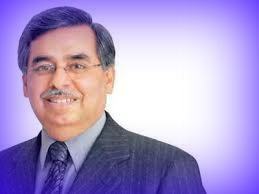 03.06.2015: Pawan Munjal is appointed as the Chairman and Managing Director and CEO of Hero MotoCorp Ltd. He succeeds Brijmohan Lal Munjal who resigned on June 1. Hero MotoCorp Ltd is the largest manufacturer of two wheeler vehicles. 04.06.2015: Harriette Thompson, the 92 year old woman became the oldest woman to finish a marathon. She completed the race in just 7 hours 24 minutes and 36 seconds. The Marathon was held at San Diego. Harriette Thompson is from North Carolina. With this feat her name is addressed in record books. This record was earlier with Gladys Burrill and she was 92 years and 29 days at the time of finishing Honolulu Marathon. 03.06.2015: Punit Renjen who is the Chairman of Board of Deloitte US is appointed as the Chief executive officer of Deloitte Touche Tohmatsu Limited. This Indian American is a member of Boards of Directors at Unitedway Worldwide. Deloitte is private company that belongs to UK and has operations in nearly 150 countries via a network of 47 member firms. 03.06.2015: Former cricket captain of India, Ravi Shastri is reappointed as Director of India cricket team. He will be the director of Team India for the upcoming Bangladesh tour. Team India is going to play one test match and three one day international matches in Bangladesh. The tour begins from 10th June this year. 03.06.2015: Union government launched a new web portal for exchanging information of missing and found children. The website was launched by Ravi Shankar Prasad and Maneka Gandhi, the union ministers. The website was jointly developed by DeitY and Union Ministry of Women and Child Development. 03.06.2015: Jaipur Metro rail was flagged off by chief minister Vasundhara Raje. This is the sixth state in India to have metro rail services. The metro rail will run between Mansarovar to Chandpole in its first phase. This entry was posted in Current Affairs, News on June 4, 2015 by Rakesh.